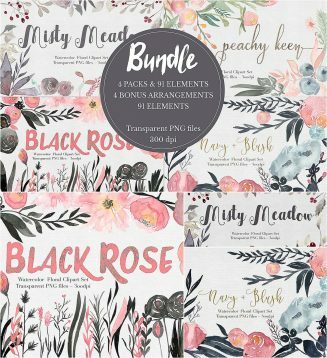 Set of 96 unique handpainted floral and leaf images. Available in PNG Format with transparent background. Perfect to use in almost any program. Create your own logo or use in scrapbooking , invitations, stationery… anything you can think of! 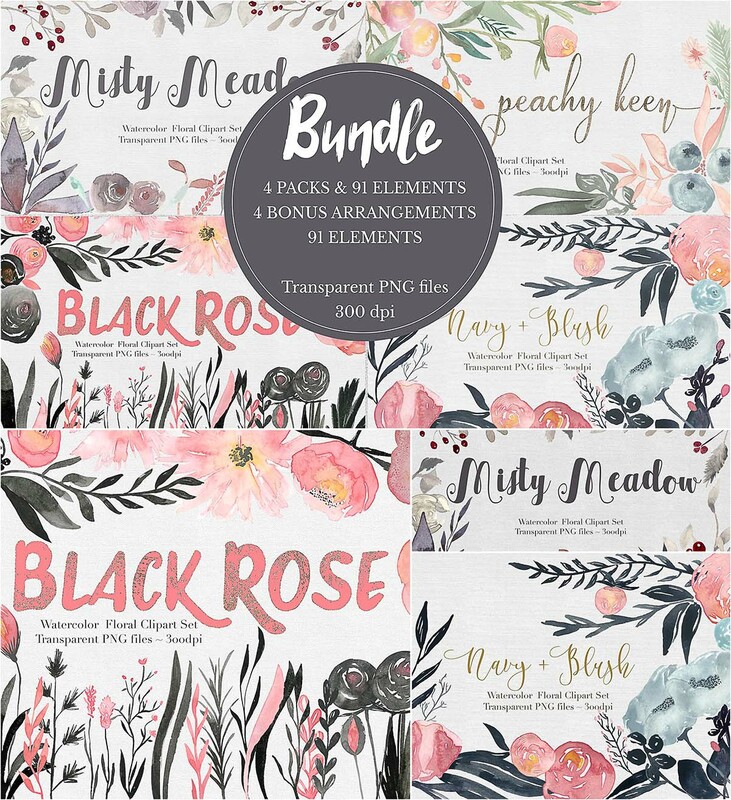 Tags: arrangement, boho, botanical, clipart, floral, flower, leaf, meadow, misty, peach, rose.